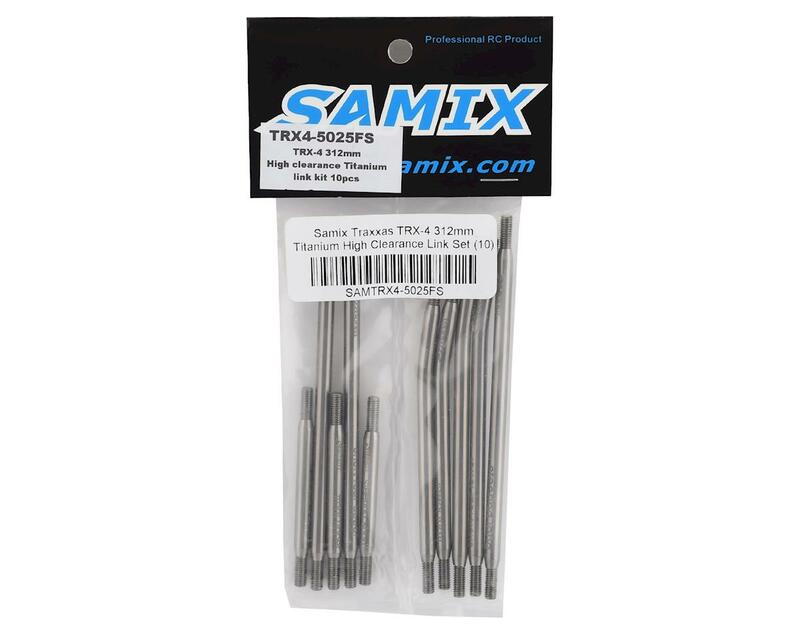 The Samix Traxxas TRX-4 312mm Titanium Link Kit is a titanium link upgrade kit that will retain the stock TRX-4 Bronco and Sport model wheelbase specs. More importantly, these links feature a high clearance bend that helps to increase ground clearance. 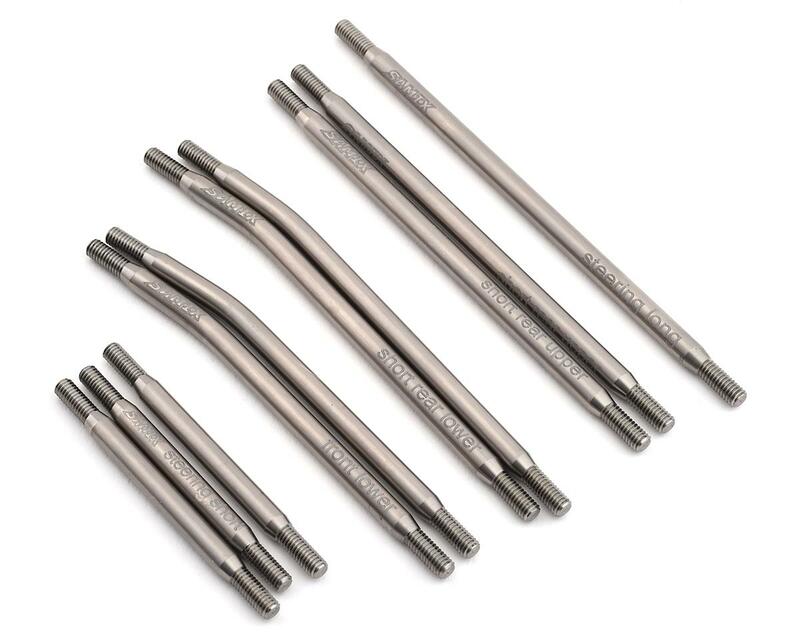 The link position is marked on each rod to make installation easy. Plus, when compared to aluminum links the titanium material is more durable and slides better over rocks. Package includes all the links needed to upgrade one truck.